Sandwich Messages. An updated version (and more fun!) than writing a note on your childs napkin in their lunch box! Here are a few of my favorite tricks from around the blogging world! 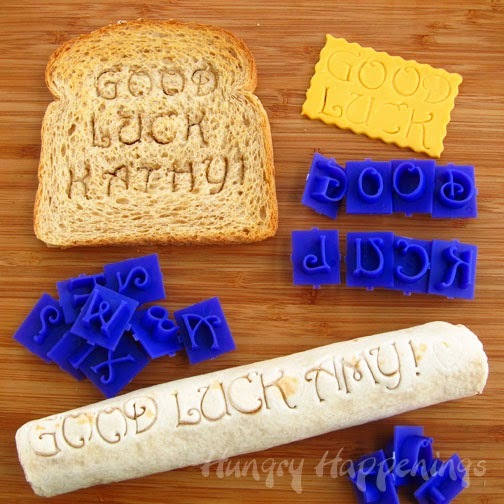 Use alphabet stamps (for cake decorating) to stamp messages! 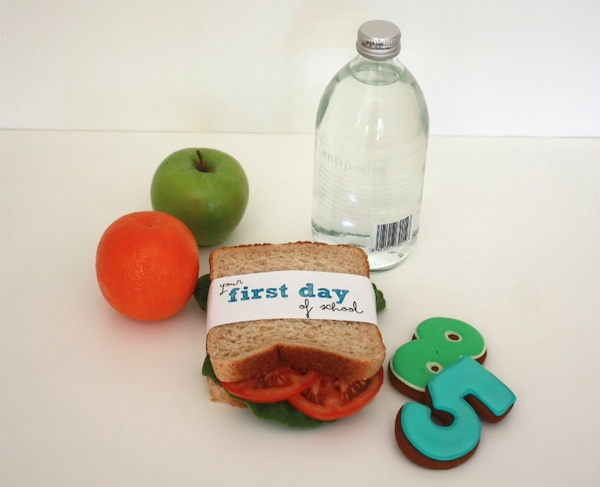 This photo and idea are from Hungry Happenings. That Blog has TONS! of great ideas, go check them out! Photo, idea and free printable credit to: Little Lovely: Give her a big thanks when you go over there and check it out! 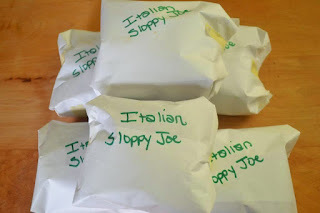 My even easier trick is to wrap your sandwich in white parchment or freezer paper. Secure with a fun sticker and write a note or my personal favorite, a joke, right onto the wrapper itself. Easy, no need for printing or stamping, just write a quick note and move on!